This is a piece of a mama pregnant with twins, nurturing them like she’s nurturing the flowers growing from her palms. I was just writing on behalf of Birth Matters VA, a statewide grassroots consumer birth advocacy group. We are hosting the Healthy Mothers Healthy Birth Summit on April 9th outside of Washington DC. 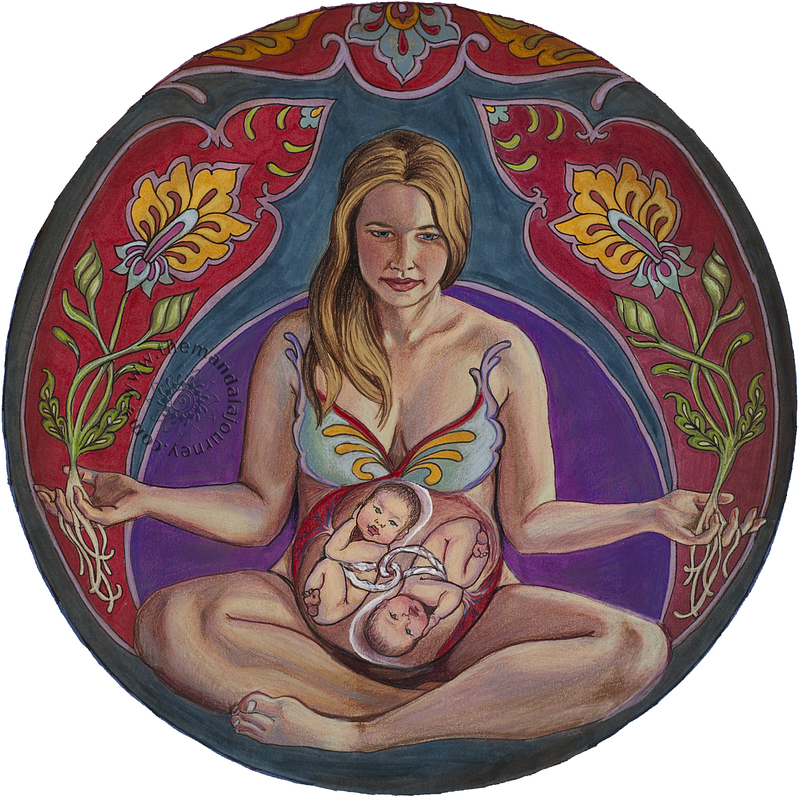 I came across your beautiful art and was wondering if you would consider donating a digital print of this lovely twin mama (The Balance of Three) for us to use on the cover of our program. We, of course, would have your credits there. We are also having an art exhibit at the summit. One of our amazing artists is Jessica Clements, http://www.jessicaclementspainting.com (her work is also beautiful like yours!). Would you consider? Thanks. 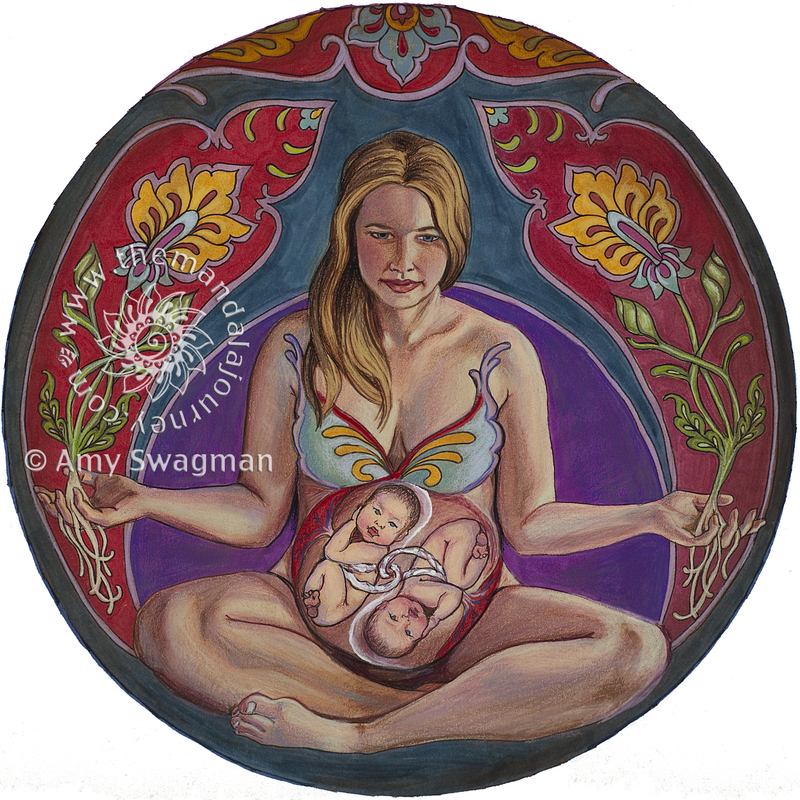 Beautiful mandalas with pregnancy, feminine and birth theme.